The Faculty of Management and Economics (frequently referred to by its German abbreviation: WiWi) was established in 1993 and has pursued an interdisciplinary approach from the very start. Research and teaching focuses primarily on areas of interest to companies relating to the business life cycle, such as founding a company, company development and growth, organisation, leadership, succession and recapitalisation. 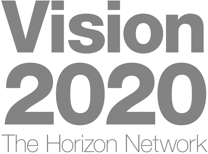 Particular emphasis is placed on the analysis of microeconomic, macroeconomic, legal, geospatial and social structures and processes, as well as business and societal innovations in connection with regional development and energy and environmental aspects. The Faculty of Management and Economics consists of ten departments. Research and teaching activities have an international focus and aim to foster the region of Carinthia by taking advantage of its historic location at the intersection of three cultures. It offers an attractive range of study programmes with an equal focus on theory and application. All students also have the opportunity to gain a basic grounding in entrepreneurship through the build! Entrepreneurship Certificate. In terms of its doctoral programmes, the faculty cooperates with other universities as part of the Central European PhD Network (CESEEnet). The faculty’s strengths in cooperative research and teaching are focused particularly on the areas of ‘Business & Law’, ‘Business, Society & Space’ and ‘Business & Technology’.  The Faculty of Management and Economics is a pluralistic center of competence in all matters relating to business and economics at the Alpen-Adria-Universität Klagenfurt. We are committed to a high level of quality in teaching and research providing research-based teaching of significant practical relevance. We are regionally embedded and internationally oriented, our motto being: “Thinking beyond business and borders”. We teach our students to apply reflected, critical, and ethical thinking, both within and across disciplines, thus fostering their development as responsible and problem-solving executives, researchers, entrepreneurs, and policy makers. Our students are also qualified to address social, legal, and technological challenges. We are committed to offering our students comprehensive personal supervision. Our research achievements are characterized by their international competitiveness and their strong integration within the scientific community. We actively co-operate with national and international partners, thereby promoting the transfer of our research results into the scientific community, the realm of teaching, public and private institutions, as well as the general public. We are committed to the continuous advancement and support of young scientists. Univ.-Prof. Mag. Dr. Sabine Barbara Kanduth-Kristen, LL.M.